After about two decades leading a law firm's investment services group, a Midwestern legal eagle is moving on, and a duo is taking his place. Chicago-based David Sturms, former chair of the investment services group at Vedder Price, has retired from the firm, MFWire has learned. 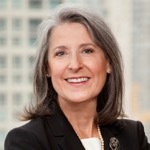 Vedder shareholders Cathy Gonzales O'Kelly (Chicago-based also a Vedder board member) and Bruce Rosenblum (based in Washington, D.C.) now serve as co-chairs of the investment services group. The unit works with closed-end funds, ETFs, and broker-dealers, as well as open-end mutual funds and asset managers. Gonzales O'Kelly and Rosenblum did not immediately return calls for comment. 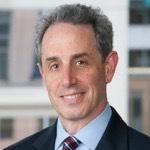 An alumnus of Ohio State University and of Loyola Law, Sturms spent more than 24 years as a partner at Vedder. Prior to that he spent nine years at Stein Roe & Farnham.